As a non-profit association, this client’s limited budget required creative thinking to address the user experience, content structure, and new features required for their new website. We set up a new WordPress theme and reorganized the content for a more intuitive visitor experience. 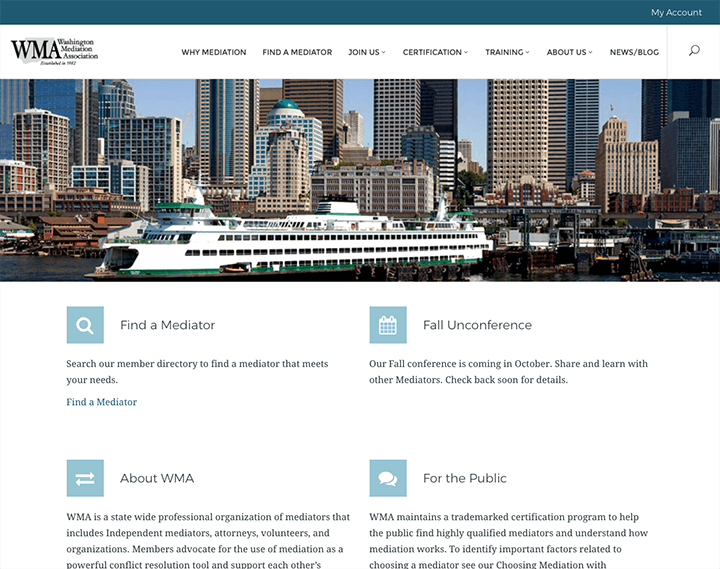 WMA also needed a membership solution where all their members could not only sign up and renew their membership fees but edit their own searchable profiles. We researched and found a solution for them that met all their requirements and then some.